One really carzy piece! 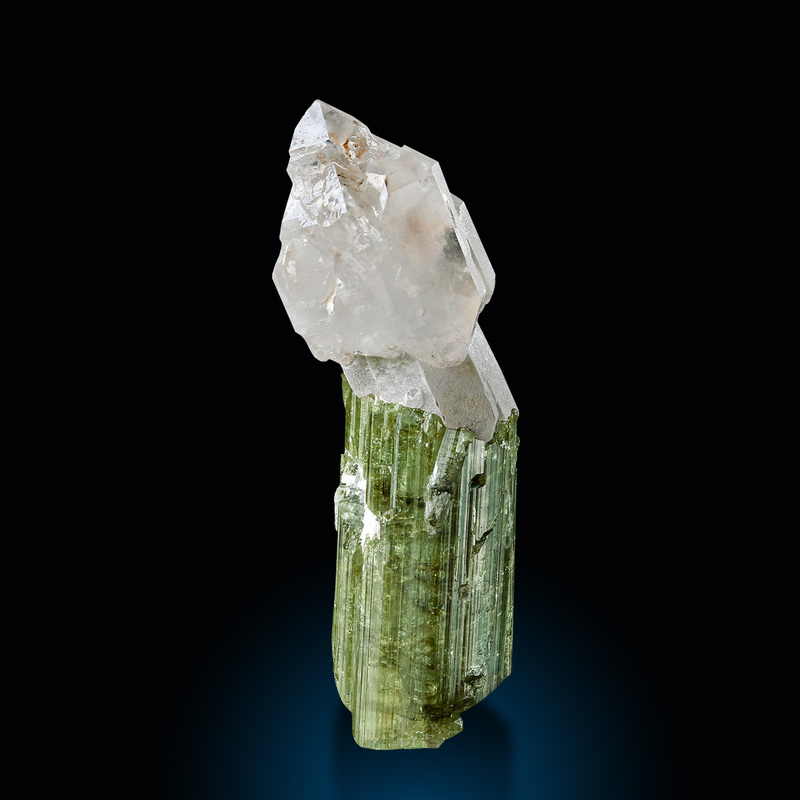 A zepter of milky quartz grew at the end-point of a sharp termianted, lustrous, green tourmaline crystal. 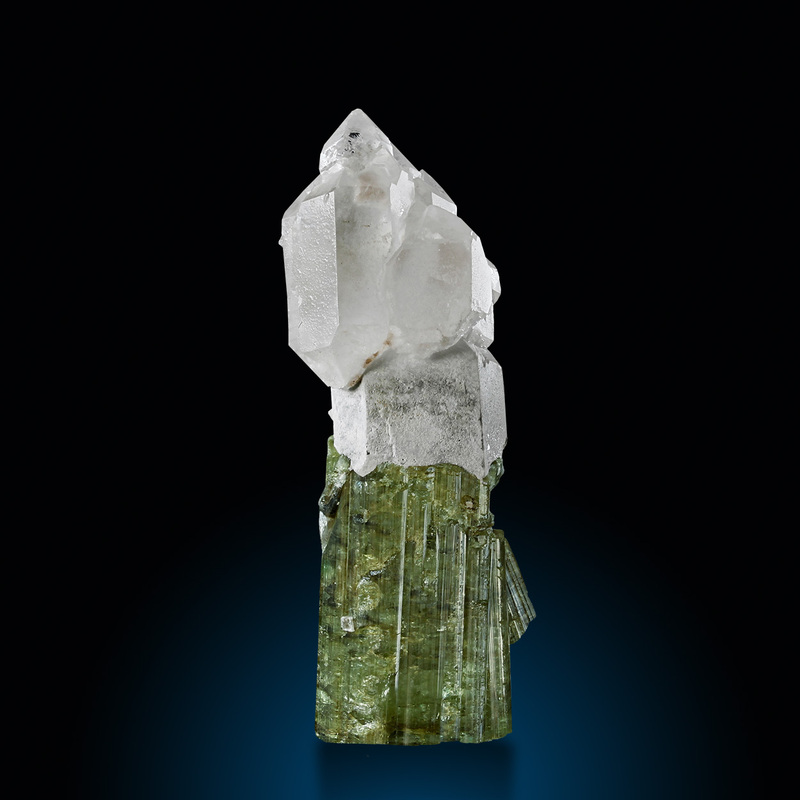 Unfortunately we don´t know the mine, which produced this exceptional specimen. Contrast and combination are outstanding and it seems to be a unique small discovery. The specimen is out of an old cllection in Vienna - the discovery must have been some decades ago.